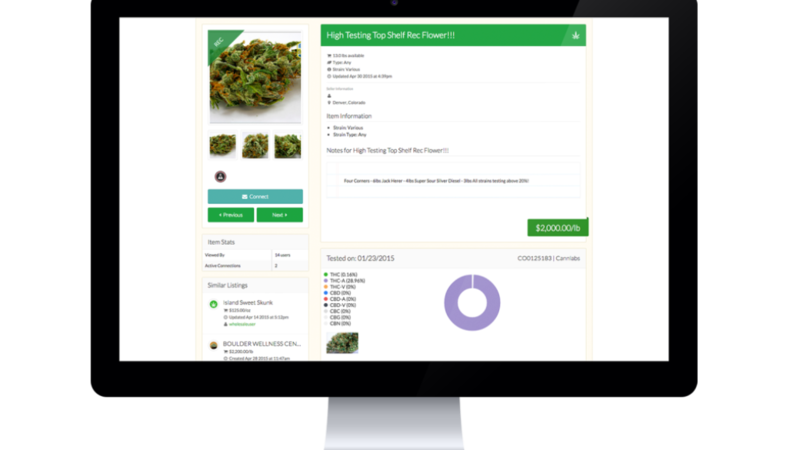 Did you know CannLabs is fully integrated with Cannabase Marketplace? Yep, that's right. We're still the only wholesale exchange to pull the exact batch reports into our wholesale listings - showing you the test results of the exact product you're buying. Pretty cool, huh? First, go to edit your profile, and select the "Business Info" tab. In the CannLabs Customer ID field, enter your customer ID number and click the "Save Changes" button. Under the "My Wholesale" tab, select "My Listings." From here, you'll want to create a new listing. 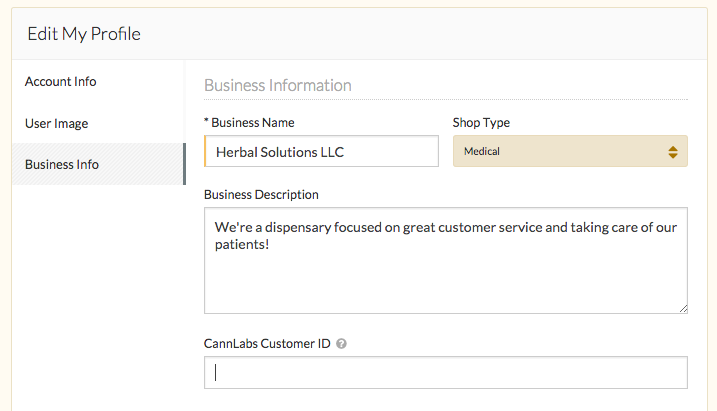 Select the proper item type when prompted (bud, extract, trim, edible, etc) and begin filling in the form. When you reach the question, "Lab-tested?" select "Yes." You can also filter the Marketplace wholesale market by lab-tested listings. Simply select "Filter" from the upper right hand corner of the listing index, and scroll down until you see "Lab Tested." 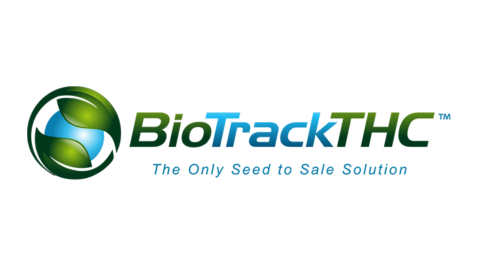 Press "Filter" and your listings will be filtered by only those that have been lab tested. Are you a licensed cannabis business and don't yet have your place in the Base? Jen Beck is the CEO of Cannabase, the wife of Chase Beck, and mom to Bella Beck – the Pomeranian office dog. When she’s not at the Base, she’s either sleeping, cooking midnight dinners, or … or she’s at the Base. Jen Beck is the CEO of Cannabase, the wife of Chase Beck, and mom to Bella Beck - the Pomeranian office dog. When she's not at the Base, she's either sleeping, cooking midnight dinners, or ... or she's at the Base.